The comeback is not a good thing, according to Greg Gerstenberg, wildlife biologist for the California Department of Fish. STOCKTON, California — A giant rodent is mysteriously making a comeback in the San Joaquin Valley. They're called nutria and their last sighting was in the late 1970’s. Nutria have been spotted in six different counties, including San Joaquin, Stanislaus, Tuolumne, Merced, Mariposa and Fresno Counties. Nutria were introduced and eventually released into California in the early 1900’s. 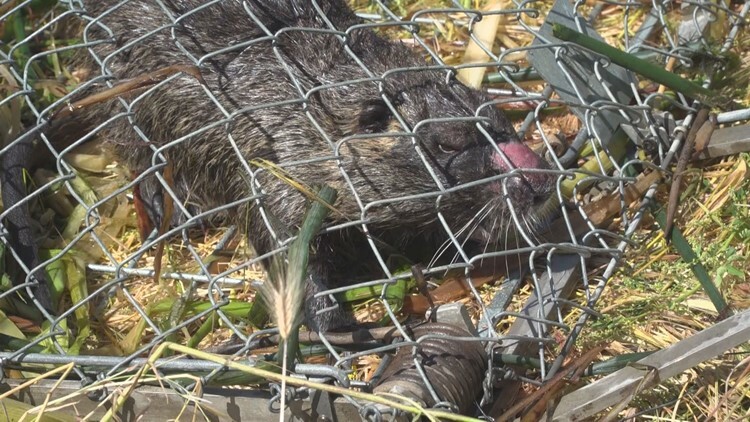 The 20-pound rodent was raised to be used in the fur trade market, but in the 1970's, the state went to great lengths to eradicate the nutria because they were destroying everything. “Nutria can eat 25 percent of their body weight every day,” Gerstenberg said. Not only that, nutria is known to dig burrows into the side of levees and canals. “Some burrows span 50 to 70 feet or more,” Gerstenberg said, adding the burrow can cause levees to erode and collapse, ultimately causing expensive flooding. The California Department of Fish and wildlife is not taking the nutria problem lightly. They’ve started an emergency eradication program in Merced County. Wildlife officials created a grid system and they are searching around the San Joaquin River for nutria. "Each one of the cells is a 40-acre cell and we are doing an assessment by a cell by cell basis," Gerstenberg said. 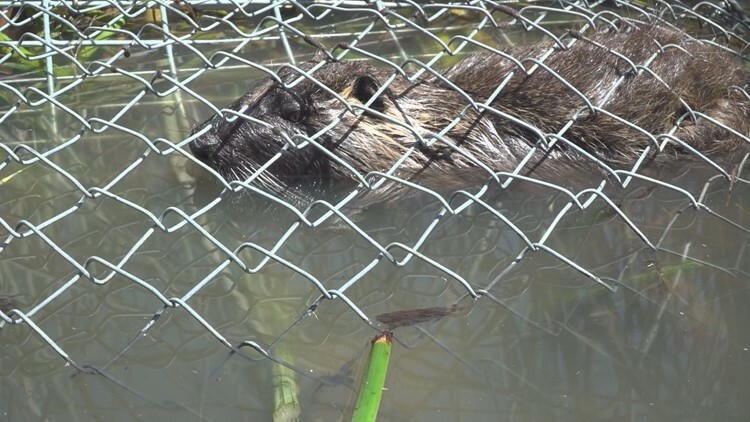 As of May 1, 2018, more than 50 nutria were trapped or reported dead. Nutria can produce as many as 13 offspring every 130 days. The rodents previously invaded Maryland’s Chesapeake Bay. In 2003, the problem got so bad ,that then President Bush authorized $20 million to manage eradication of the rodent. Now, nutria numbers are growing along the San Joaquin River. Gerstenberg says if the rodent makes it into the Delta, the population will be extremely difficult to manage. "If somebody doesn’t work at eradication, they will reproduce and spread," Gerstenberg said.